I started to read two books at the same time. Both were written in first person present tense (have I mentioned how annoying that is? ), and both started with similar plots: a woman with some major psychological scars who is busy with her career suddenly inherits someone’s child and has to make some major changes in her life. And of course there is a handsome man in the background who is falling in love with her. At one point I put the first book down. The main character was completely selfish, and she didn’t care about the child at all. Two thirds of the way through the book I still couldn’t see how there was any growth happening with her. I didn’t like her! 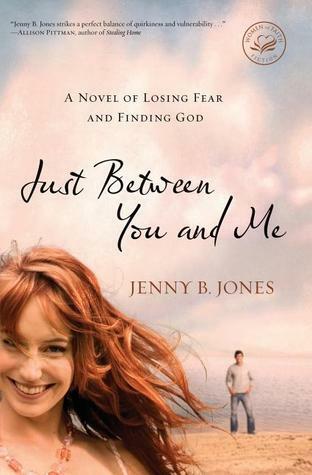 However, in Just Between You and Me (by Jenny B. Jones), the main character captured my attention and drew me into the story. Maggie comes back to her home town for the weekend to find that her wild reputation is still alive and her family is a mess. Her sister’s daughter has been abandoned again, and her father has work and health problems. Her niece, Riley, has seen things no ten-year-old should see, and she is rebellious, wild, and destructive because of it. Maggie has decisions to make about her career, boyfriend, and a new job offer. As the weekend extends into weeks, she has to deal with her sister’s drug addiction, her niece’s problems, and she must face the people that she hurt in the past. She begins to truly love Riley, she falls in love with the local vet, and she learns to rely on the Lord. She grows to have the courage to face her past and her phobias, and look at what she really wants in her life. I really enjoyed this uplifting story and found myself laughing out loud at Maggie’s outrageous sense of humor. I closed the book with a smile and a satisfied sigh. 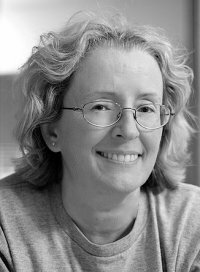 I look forward to reading more from Jenny B. Jones.